I have set SUNDAYDec 9 as the next social. Please visit either link below to confirm your attendance. I need to call the restaurant for firm numbers. I am looking to get total number by Monday Nov 26 so let me before. I can then book those firm numbers for this date. How To Set Up Your Algo Trading Infrastructure within 6 Week? 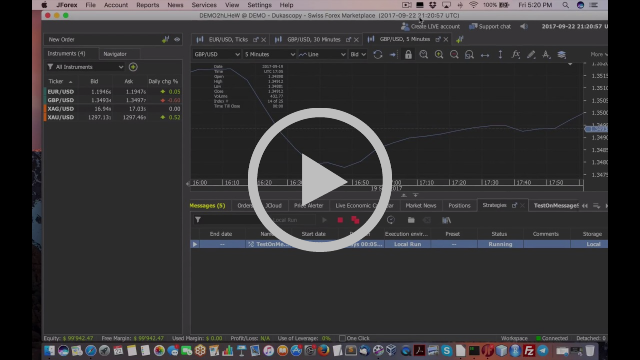 Do You Want To Control Your Own CUSTOM Algo Trading Software? This entry was posted in Premium Membership and tagged algo, custom, Dec 9, Social, software, trading on November 21, 2018 by caustic. The new video from last night has been posted. It is over 2.5 hours. Also, I will be keeping this up until Friday since the info is quite valuable. I have found some new potential ways to eliminate unprofitable trades. When you look at how the crypto currency asset class is being crushed over the last few week, it seems it is critical to eliminate these types of trades. I will gladly take the 1+% moves each day. There might be not be many but they will hopefully be profitable. Here are your ELITE membership options until Friday to access this private video. Just remember this will be treated no different than my Harmonic Pattern source code reveal a few months ago. In other words, this video will disappear forever since it gives you a skill for a true edge in automated trading! This entry was posted in Bitcoin Crypto Currency, Premium Membership, Quant Development and tagged crisis, end of cycle, flash crashes, JPMorgan, Quant, Social, top, unrest, Warns on September 12, 2018 by caustic. This entry was posted in Stock News and Tips and tagged Social on June 27, 2018 by caustic. This is our usual social din din for June. Join us for the good life in automated trading! I am waiting for after World Cup finals. I also got added to the waiting list for a WeWork location in downtown Toronto for potential future Meetups. This entry was posted in Bitcoin Crypto Currency, Forex, Quant Job, Quant Opinion and tagged algo, crypto, Social, trading, webinar!, World Cup on June 24, 2018 by caustic. This entry was posted in Stock News and Tips and tagged finlen, Social on June 13, 2018 by caustic. I will be including ways to advance your programming skills with automated trading. This entry was posted in Premium Membership and tagged Aug, ForEx, Meetup, scheduled, Social, trading on August 17, 2017 by caustic. This entry was posted in Quant Analytics, Quant Opinion and tagged Dec, Din Dins, Finance, Nov, Quant, Social on October 29, 2016 by caustic.